1-King Size Flat Sheet 108" x 102"
1-King Size Fitted sheet 78" x 80"
2-Pillow case 20" x 40"
Our twin extra long microfiber sheet sets are super soft and long lasting. These sheet sets are lightweight and perfect for year round use. Since they are 100% microfiber they are wrinkle free and easy care. 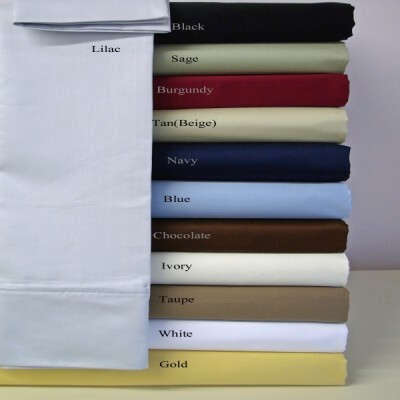 These twin extra long sheet sets come in many solid colors for you to choose from. © 2018 Luxury Egyptian Cotton. All Rights Reserved.